As brave as she could be, in spite of being in a wheelchair, Roger was able to call 911 by dragging herself to the phone. Humans have always been the ones barging in the territory of animals - be it by building infrastructure and cutting trees or by hunting them in their territory. It is very rare but terrifying to see animals barging into the space of humans, as an unexpected ferocious guest, that might cause physical harm and pain. A 71-year-old New Hampshire woman was recently attacked by a black bear. As the New England Cable News Reports, the woman survived and managed to call for help. As CBS Boston reports, Apryl Rogers lives in Groton and was sleeping when she heard a strange sound coming out from the kitchen around 1:15 am. When Roger saw the bear, who was hunting through its way, attacked her on her face while she tried to get out of the house. The bear was able to enter the house from an unproperly latched door. When Roger’s daughter, Stacey Murray, reached home after the incident, she was horrified to see the scene. She told NECN, “There’s trash everywhere. There are bear feces everywhere. There’s blood everywhere." When Murray entered, she saw claw marks on the door and blood trails are some places. She told CBS Boston, “She was yelling at the bear to get out, “[It was] really very scary.” She explained further and said that when she saw the condition of the house, it looked that the place witnessed a war because everything was upside down and a mess. As brave as she could be, in spite of being in a wheelchair, Roger was able to call 911 by dragging herself to the phone. Murray exclaimed, “It’s a miracle in itself”. Roger has been hospitalized because she had received serious injuries to her neck and head, including several fractures. Groton is a town of only 600 people, where it is very unlikely for bears to break into people’s homes, told state fish and game officials to CBS Bostons. It was an unfortunate luck, that Roger was there in the house when the bear who was unusually aggressive came looking for food. According to the NECN, police, and officials are trying to locate the bear who escaped through the house. The official, SGT. Thomas Dakai from NH Fish and Game told WMUR that, "there was some cat food in the house, and it obviously investigated that." 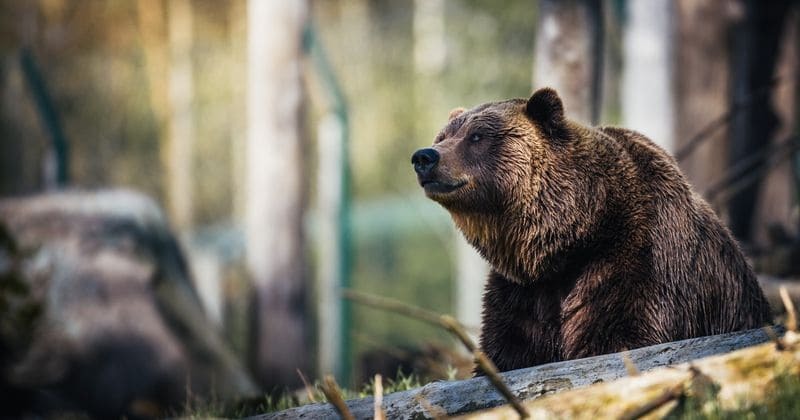 Murray also shared, "There have been some issues over here, like, one week ago, I was driving along the road and saw a bear, so definitely they are a permanent thing here." There are different kinds of bears out of which some are very aggressive and are famous for attacking humans. It is important for people living in bear-prone areas, to stay cautious and take precautions to be on the safer side. Bears like sloth bears, Asiatic black bears, and brown bears are most likely to attack humans. As they are huge and much stronger in size, their attacks are fatal and they are ferocious by nature.